By Ganesh Joshi, MBBS, Christopher Cerniglia, D.O., M.Eng. 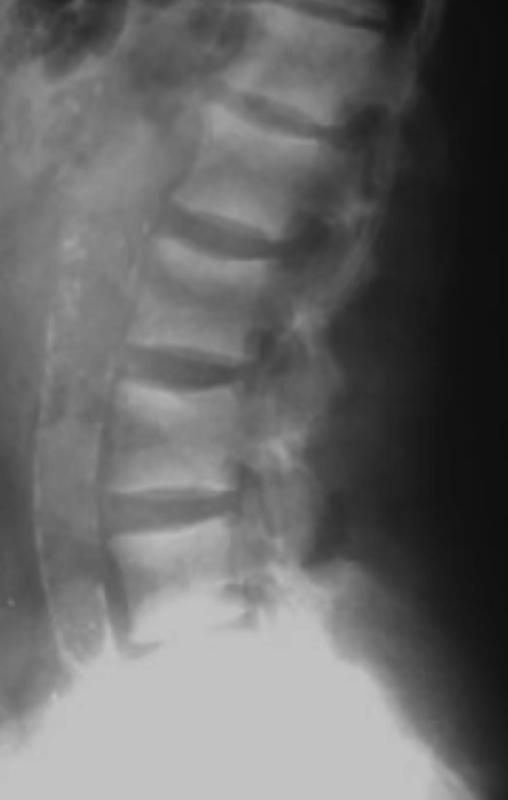 A 43-year-old man presented with chronic progressive back pain. 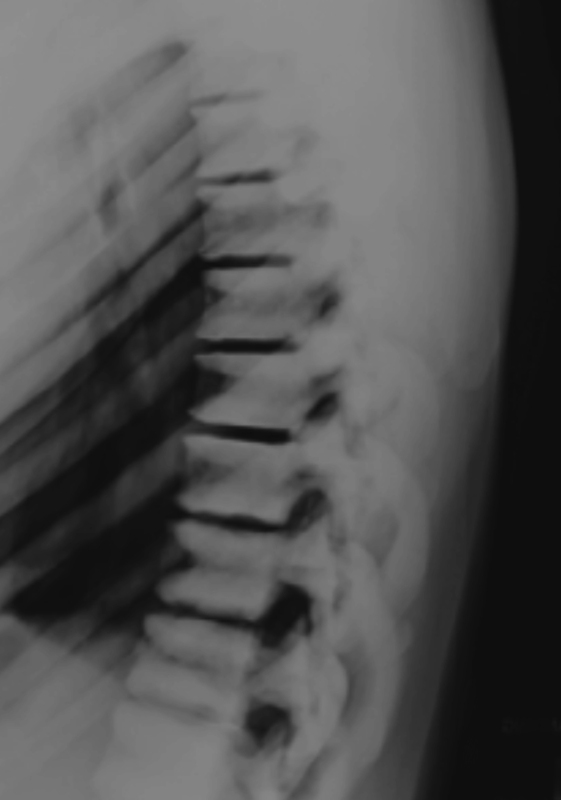 Thoracic spine radiographs were performed (Figure 1). Sclerotic and lucent bands in multiple thoracic and lumbar vertebral bodies result in characteristic imaging findings on radiographs. These findings can be observed in patients with osteopetrosis, renal osteodystrophy, and osteopenia. The purpose of this article is to review the imaging features of these entities and how to differentiate one from another based on radiographic findings. Osteopetrosis is a hereditary skeletal dysplasia that results in extremely dense bones throughout the skeleton. This disorder is characterized by decreased bone resorption with decreased osteoclastic activity, resulting in increased bone mass. There are two forms of the disorder – the infantile (malignant) form, which is transmitted in an autosomal recessive pattern, and the adult (benign) form, which is transmitted in an autosomal dominant pattern.1 The infantile form typically leads to stillbirth or early death, while the adult form, also known as Albers-Schonberg disease, is less severe with a delayed manifestation. The adult form is most often discovered incidentally on radiographs in otherwise asymptomatic young or middle-aged adults.2 Less often, patients present with scoliosis, arthritis, fractures, or osteomyelitis related to the underlying disorder. Renal failure may present with a variety of musculoskeletal complications, either related to the disease itself or its treatment. Renal osteodystrophy results from altered metabolism associated with renal failure, manifesting as a combination of osteomalacia and secondary hyperparathyroidism.4 Osteomalacia refers to insufficient or delayed mineralization of osteoid tissue in adults, resulting in osteopenia. 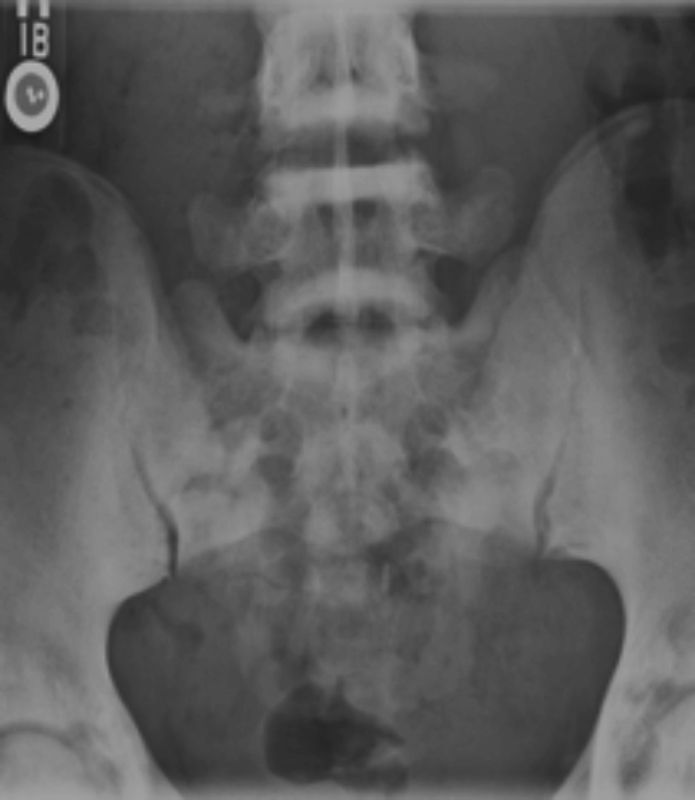 Twenty percent of patients with renal osteodystrophy, however, present with osteosclerosis involving ribs, pelvis, and spine.5 The radiographic picture of renal osteodystrophy can be confusing, since one often has overlapping findings of osteomalacia and hyperparathyroidism. In children, one may also see the rachitic findings overlapping with these two processes. Radiographically, renal osteodystrophy commonly presents as sclerotic bands along superior and inferior endplates of vertebral bodies with intervening central lucency. 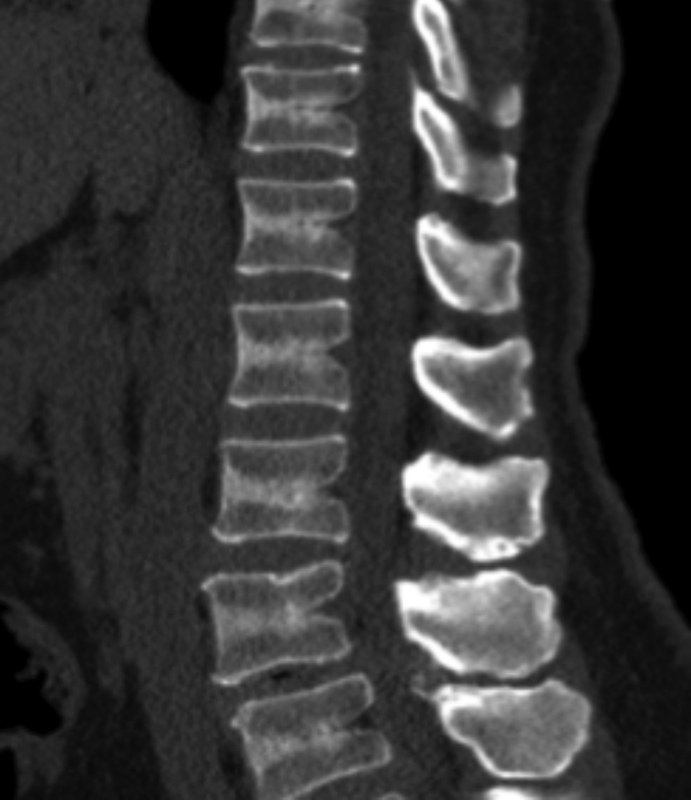 Alternate sclerosis and lucency with ill-defined margins give rise to the characteristic “rugger jersey spine” appearance (Figure 3). Osteoporosis is the most common metabolic disorder in elderly patients. It is characterized by decreased bone mass with microarchitectural deterioration of bone tissue, resulting in increased fragility. Osteoporosis affects millions of people worldwide with an estimated 2.3 million fractures in the United States and Europe alone.6 There are two types of osteoporosis – primary and secondary. Primary osteoporosis usually occurs in elderly patients with cumulative bone loss from aging and hormonal changes, while secondary osteoporosis results from various medical conditions and certain medications. On radiographs, the main imaging features of osteoporosis include increased radiolucency and cortical thinning. Osteopenia is a frequent term used to describe the radiolucency on radiographs, which results from resorption and thinning of the bony trabeculae.7 The radiolucency commonly is most evident along the superior and inferior endplates of the vertebral bodies, resulting in the “reverse rugger jersey” appearance of the spine (Figure 4). Radiography is the most commonly performed imaging modality in the initial evaluation of back pain. When a band appearance of the vertebral bodies is noted, osteopetrosis, renal osteodystrophy, and osteoporosis are the most likely etiologies. Although differences may be subtle, there are a few specific features that may favor one entity over another. Radiologists should be aware of these characteristic imaging findings to suggest the most likely diagnosis and help guide appropriate management. Boulet C, Madani H, Lenchik L, et al. Sclerosing bone dysplasias: genetic, clinical and radiology update of hereditary and non-hereditary disorders. Br J Radiol 2016;89(1062):20150349. Kirkland JD, O’Brien WT. 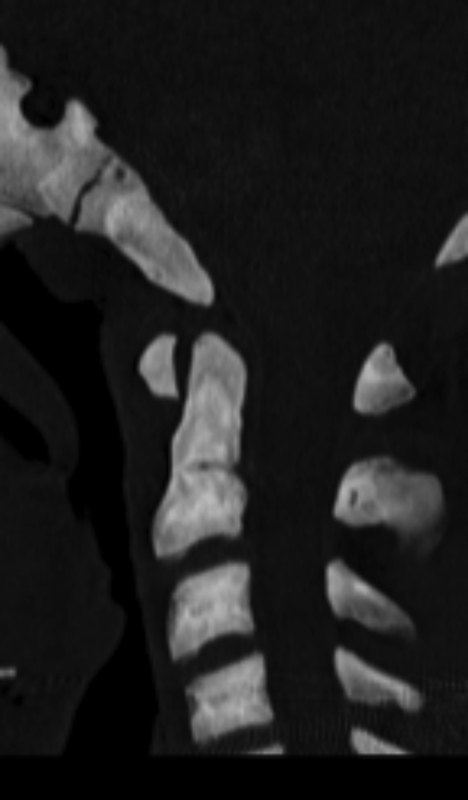 Osteopetrosis – classic imaging findings in the spine. J Clin Diagn Res 2015;9(8):TJ01-TJ02. Ihde LL, Forrester DM, Gottsegen CJ, et al. Sclerosing bone dysplasias: review and differentiation from other causes of osteosclerosis. Radiographics 2011;31(7):1865-1882. Tigges S, Nance EP, Carpenter WA, et al. Renal osteodystrophy: imaging findings that mimic those of other diseases. Am J Roentgenol 1995;165(1): 143-148. Wittenberg, Aaron. The rugger jersey spine sign. Radiology 2004;230(2):491-492. Prevention and management of osteoporosis: report of a WHO scientific group. World Health Organ Tech Rep Ser 2003;921:1-164. Guglielmi G, Muscarella S, Bazzocchi A. Integrated imaging approach to osteoporosis: state-of-the-art review and update. Radiographics 2011;31(5):1343-1364. Ganesh J, Cerniglia C. Band Appearance of Vertebral Bodies: A Case-Based Illustrative Review. J Am Osteopath Coll Radiol. 2019;8(1):8-10.